Paint your own pottery eggs! 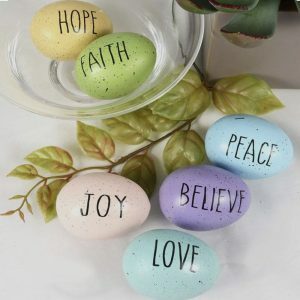 Choose from either one large or two smaller eggs to paint! Everything will start out as a plain white pottery piece and you will get to paint it at the event. These will be ready for decorating your Easter table! – Unfinished pottery piece (see choices! ), ready to paint! 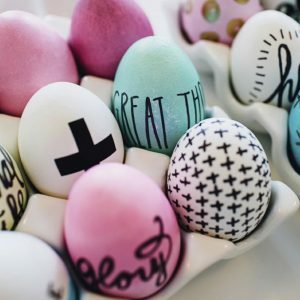 After you paint your egg(s), Christine from You Are the Potter Painting Studio will take your piece and fire it. Finished pottery items will be ready for pickup on Saturday, April 20, at Sassafras Tea Room.